Hungry? 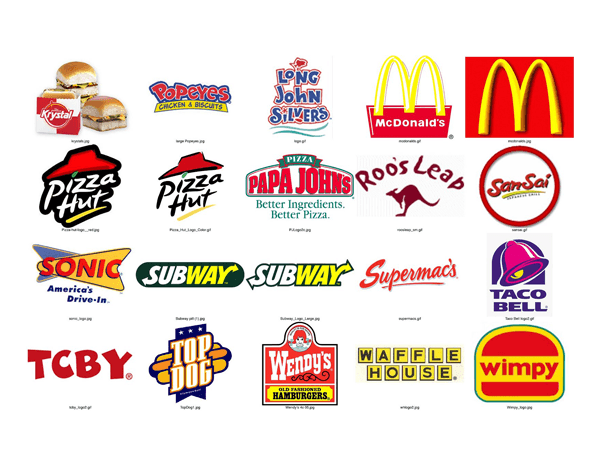 Ever wondered why so many fast food chains use red and yellow in their logo and advertising?? It turns out that red and yellow are the most appetizing colors and they encourage your appetite. So if you are on a diet you may not want us to paint your kitchen yellow. On the other hand, blue has been determined to be the least appetizing color and considered an appetite suppressant. Some websites have gone so far as to suggest you put a blue light bulb in your refrigerator to discourage snacking between meals. So why is blue an unappetizing color? Blue food is a rare occurrence in nature. There are no leafy blue vegetables, no blue meats and aside from blueberries blue just doesn’t exist in any significant quantity as a natural food color. We don’t have an automatic appetite response to blue. It is interesting to note that McDonalds is changing a lot of their store colors to green. Green gives rise to feelings of nature, natural and environmentally friendly. It’s no longer about speed and a quick bite to eat. White as it turns out creates a mindless effect when it comes to your eating behaviors. White tends to discourage your brain from caring about consumption and encourage over eating.